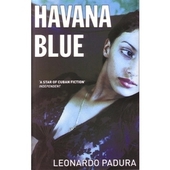 Cuban author Padura is known for his quartet of novels set in 1989-90 Havana which follow the struggles and moral triumphs of police inspector Mario Conde, ‘the Count’. This latest offering picks up 14 years later in 2003 when Conde has left the police and has a new precarious ‘career’ as antique book trader, wishing he could write books of love and squalor. 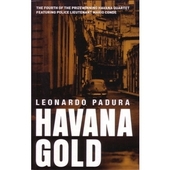 When his famous detective’s hunch compels him to knock on the door of the house of Alcides de Montes de Oca, a rich Cuban who fled after the revolution, Conde is invited to buy up a priceless book collection. He is immediately drawn into unravelling the dark mystery surrounding the fate of the family and a beautiful bolero singer of the 50s, whose record the structure of the book is based on and with whom Conde becomes infatuated. Conde cannot help but still believe in making the world a better place, as ever driven by his commitment to truth, love and friendship rather than money, despite the greed, corruption and degradation he discovers in Havana not only of the 50s but also in the 00’s. The scarcities of the special period, effects of the blockade and influx of tourism have brought some unwelcome changes. 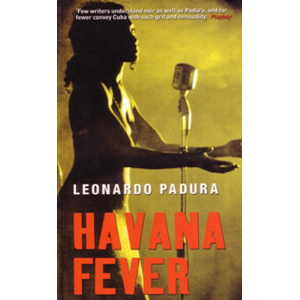 Through a subtle examination of class and gender relations, music culture and organised crime, Havana Fever confirms Padura’s status as one of the finest crime fiction writer in the Spanish language.